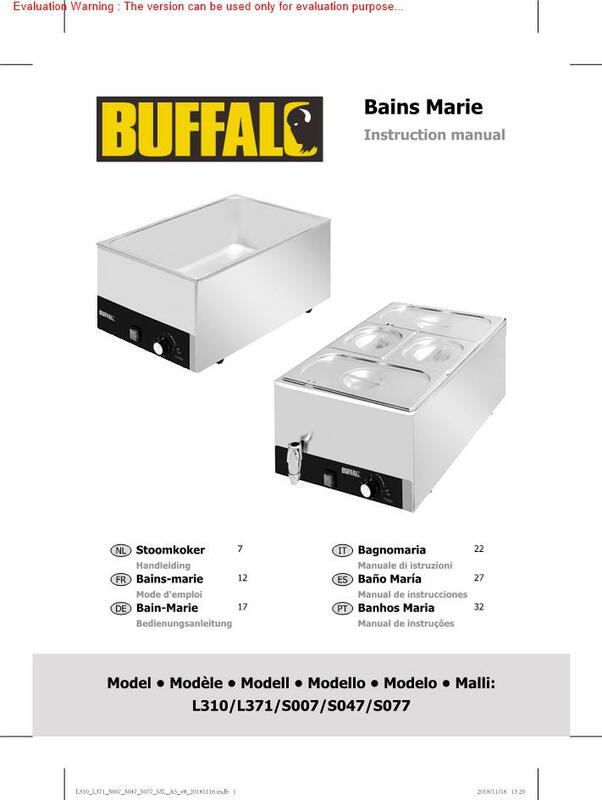 The Buffalo bain marie is a durable and reliable addition to any commercial kitchen or buffet. 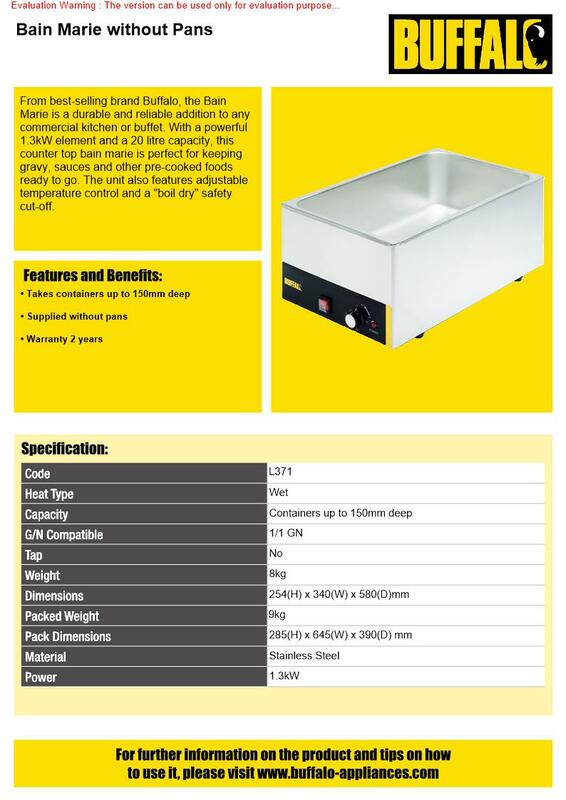 With a powerful 1.3kW element and a generous 20 litre capacity, this countertop wet heat bain marie is perfect for keeping gravy, baked beans and other pre-cooked foods ready to go. 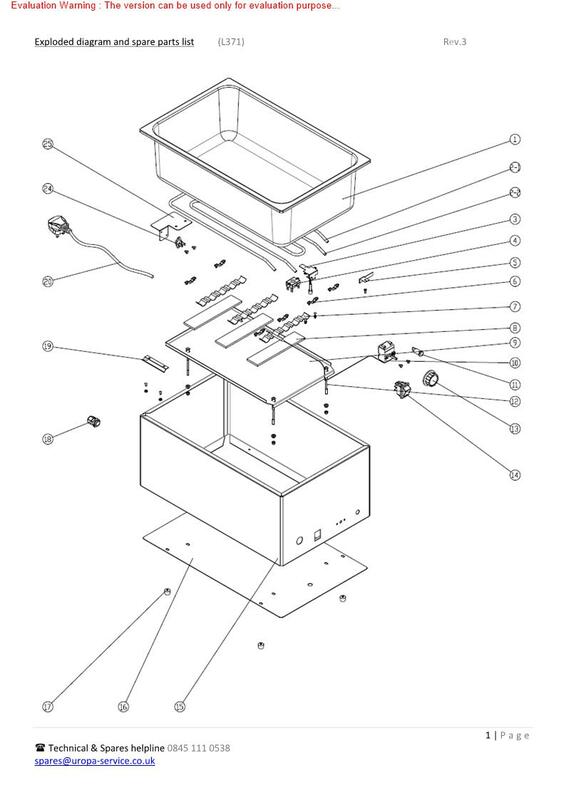 The unit also features adjustable temperature control and a "boil dry" safety cut-off.Please note: pans and divider bars sold separately.